Specialty retail firm Fabindia's founder William Bissell, Infosys' co-founder Nandan Nilekani and Boston Consulting Group India’s managing director Neeraj Aggarwal have invested an undisclosed amount in publishing startup Juggernaut. Juggernaut that formally launched operations on Tuesday said it will give authors both a digital and a physical platform. The firm's website says it is currently in beta stage of development and will pursue new ways of commissioning and rethinking the reading experience, book distribution and payments. The venture was floated by Chiki Sarkar, former publisher of Penguin India and editor in chief of Random House India, along with Durga Raghunath, CEO and co-founder, who launched Firstpost and was previously CEO, Web18. Sarkar told VCCCircle that the initial investment into the venture is Rs 15 crore and that it will start publishing in February-April 2016. She said the company would publish books in every genres including literature, commercial, children’s, business and lifestyle. “We will have a limited physical list and a far more expansive digital list,” she said. Raghunath began her career in book publishing, going on to head digital operations for Mint and The Wall Street Journal in India, then founding Firstpost and leading Network18’s digital businesses. She had joined restaurant listing and online food ordering firm Zomato in May as senior vice president to lead customer acquisition and retention. “More Indians are accessing the internet, reading, writing and paying online than five years ago. I cannot imagine something more exciting than rethinking the underdeveloped book market and getting Indians to read,” said Raghunath. 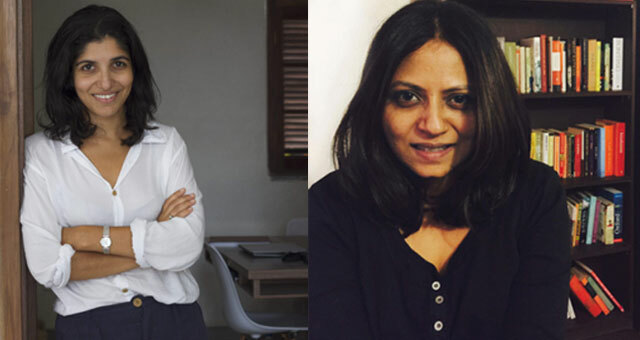 Along with Sarkar and Raghunath, Juggernaut’s founding team includes Gavin Morris (art director), Jaishree Ram Mohan (managing editor) besides executive editors Nandini Mehta and R Sivapriya. The digital and business teams include Saurav Roy (chief product officer), who has founded two companies, Myriads and Burrn, the former while he was still at IIT Madras; and Neel Karinje (CFO). The firm counts group editor of ABP Group Aveek Sarkar; Vijay Shekhar Sharma, founder and CEO of Paytm; and D Sundaram, former CFO of Hindustan Unilever and currently a director with PE firm TVS Capital among its advisers. Juggernaut said it will publish 50 titles each year, starting from April 2016. It will be distributed and warehoused by Hachette India. William Bissell was advised by Angela De Giacomo and Dipankar Vig of MPC Legal; Nandan Nilekani was advised by Entrust Family Office; and Juggernaut was advised by Satyajit Sarna and Associates, for the funding transaction. Co-founder Raghunath had previously worked with The Wall Street Journal, a publication owned by News Corp. News Corp is the owner of this news website and has a publishing business under HarperCollins.